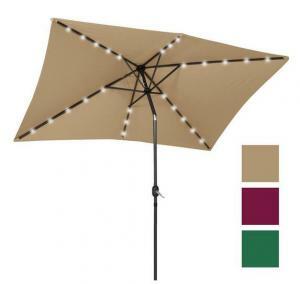 Create the perfect patio area with this solar patio umbrella. Energy efficient, solar powered LED lights brighten up an evening gathering, while the umbrella keeps you shaded as you enjoy daytime drinks with your friends. 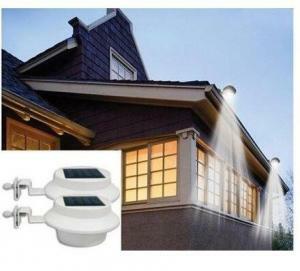 It's easy to use; simply turn the solar lights on/off with the switch located on the umbrella pole! This umbrella has you covered whether under the sun or moon. 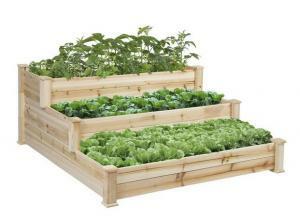 his 4' x 4' garden bed is perfect for growing your plants and vegetables. With its step stair design you can place various sized plants inside each level. Each section is approximately 7 inches higher than the next, giving plants ample space between each other to grow efficiently. The boards are made of 0.5 inch thick Chinese Fir wood that is built to last through the seasons. The quick assembly, and no tools required, gives you everything necessary to build your new garden bed right out of the box. Use this bed on your patio, lawn, or garden. Fill it up with soil (not included) and start planting your garden this season. These handy LED Gutter Lights in your choice of black or white are great for creating long lasting brilliant light during the night without the hassle of wires or extension cords. Easy to set up and maintain, these solar powered lights simply attach it to your gutter, fence or wall are ready to light the way perfectly. These lights charge by day and turn on/off automatically when the sun rises and sets. You won't need to do any wiring to install the lights in your yard, driveway or walkway. Producing brilliant white LED light, these cordless lights can illuminate any exterior area such as entryways, walkways, gardens, and patios. 100s of sitewide deals aross all their brands for a few days. 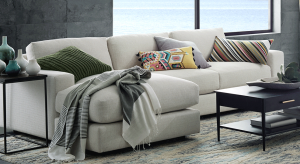 It's the best time to bring modern furniture, home decor, lighting, home accessories you need, especially summer collections, or replace the old. 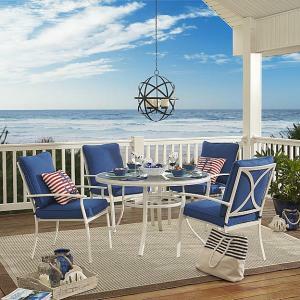 With the Harrison 5 Piece Dining Set-Blue, you have everything you need to create a nautical backyard getaway. 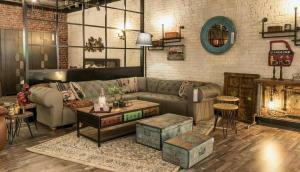 The white and blue colored set features 4 stationary chairs and a round dining table perfect for entertaining guests. Blue cushions adorn the white steel-framed chairs, creating a delightfully seaside look. The plush cushions are UV-protected to guard against fading in the sun. 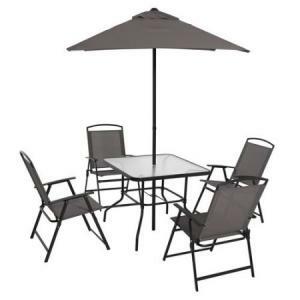 The dining table features a scratch-resistant glass top making it durable against continuous use and constant weather exposure. The blue-hued set are beautifully accented by white steel frames that are weather-resistant to guard against unsightly corrosion. Click through this link and enjoy 4 Health Dog Food from $0.99. Some exclusions apply. If you have other balances or late payments on your account, the number of monthly payments advertised may not pay off the balance. Offer valid for consumer accounts in good standing; see cardholder agreement for details. May not be combined with any other credit promotion offer. Border Edger offer not applicable to tiller models 3550, 3558, XP, 7234-12-43, 7250-00-03, SU or reconditioned models. Oversize fees may still apply. Free Ship To Store shipping promotion does not apply to the following: Special Orders, LTL or Truck Delivery Purchases, Parts Store Purchases.